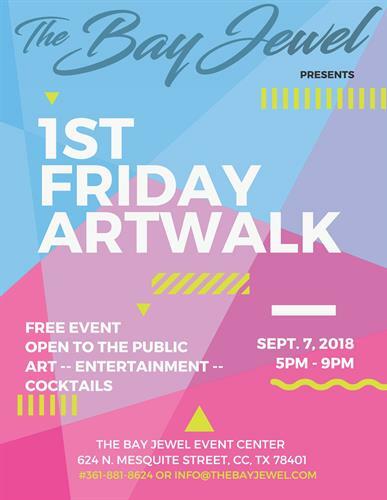 First Friday Artwalk in downtown Corpus Christi featuring a local artists and vendors. We will have tours of our new venue, cocktails and entertainment. See you there!